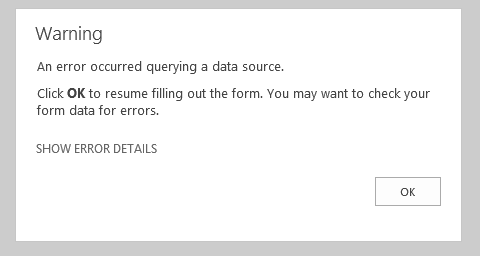 "An error occurred querying a data source. Click OK to resume filling out the form. You may want to check your form data for errors. " 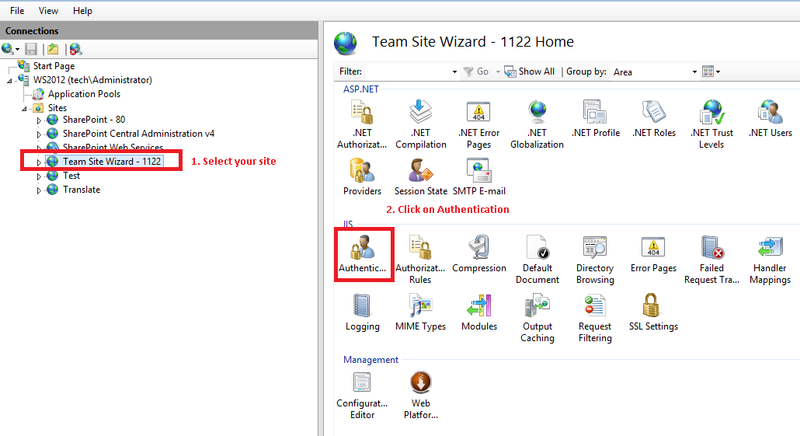 "Data adapter failed during OnLoad: Authentication information in the UDC file could not be used for this connection because user forms are not allowed to use UDC authentication." Under Authentication tab, double click on the "ASP.Net Impersonation" and set it to "Disable". Now re-open your InfoPath form and see it working.